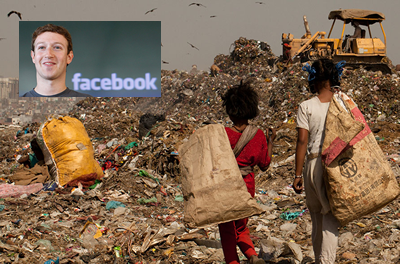 Facebook multi-billionaire Mark Zuckerberg is being celebrated for supposedly giving away 99% of his money, something over $45 billion. That's an amount that could end hunger or unclean drinking water or homelessness on earth. It turns out Zuckerberg gave himself his money. He didn't even give it to a non-profit foundation. He gave it to a limited liability company (L.L.C.) belonging to himself. You should live up to your recent headlines and actually donate your billions to benefit the rest of humanity. 12456 3 years ago Ronken Lynton Pittsboro, NC , US Nothing is "cheaper" than getting a headline for a good action and then not following through by doing it.